Happy Sunday! I wanted to take a break from grad school and lesson plans to give you a sneak peek into how I involve students in holding themselves accountable, evaluating their classmates, and evaluating daily lessons. 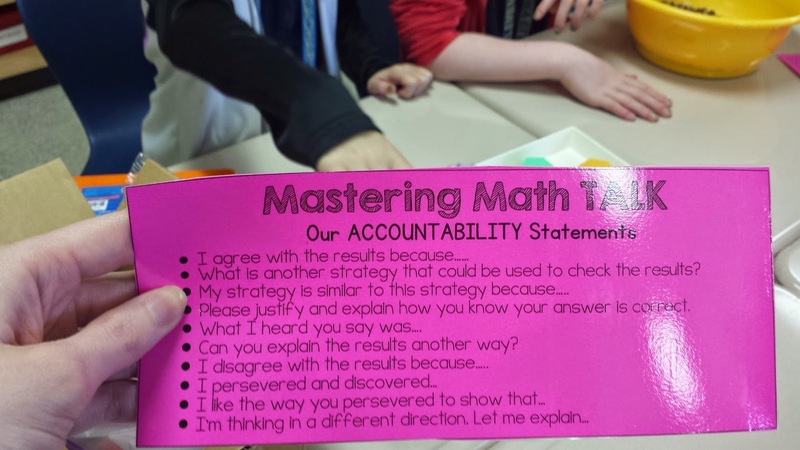 I will be writing an entry soon on how my students used their Mastering Math Talk cards while completing a Strategy Harvest. Keep an eye out! 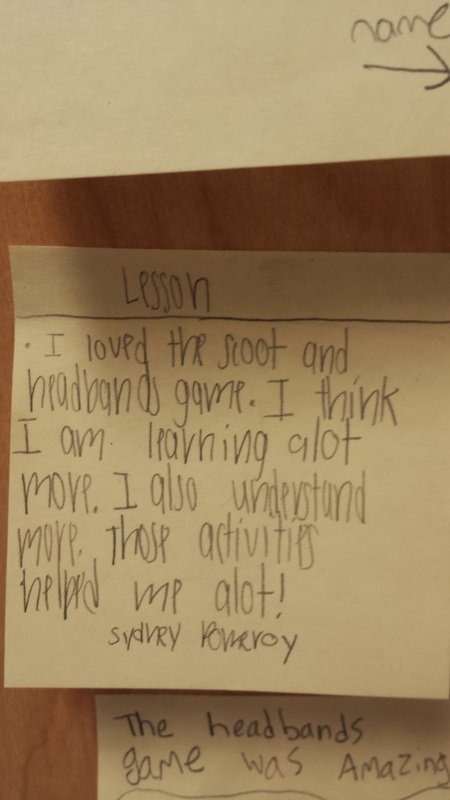 Sticky notes are an essential piece to my everyday lessons. 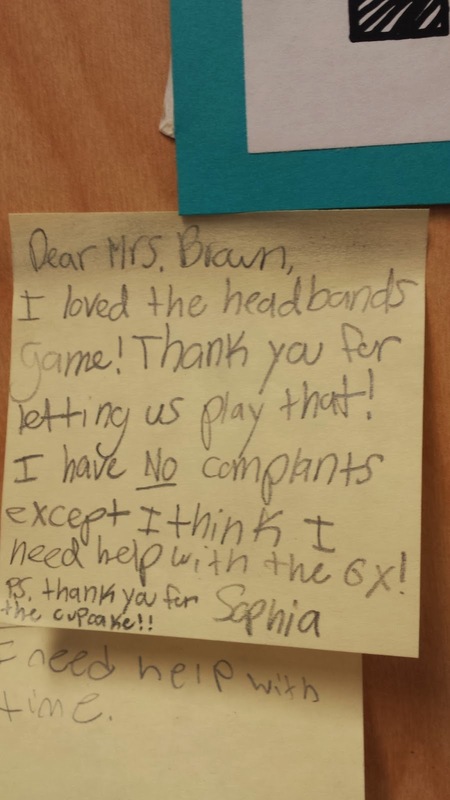 I use them in a variety of ways, but my favorite, by far, is utilizing stickies for student feedback. 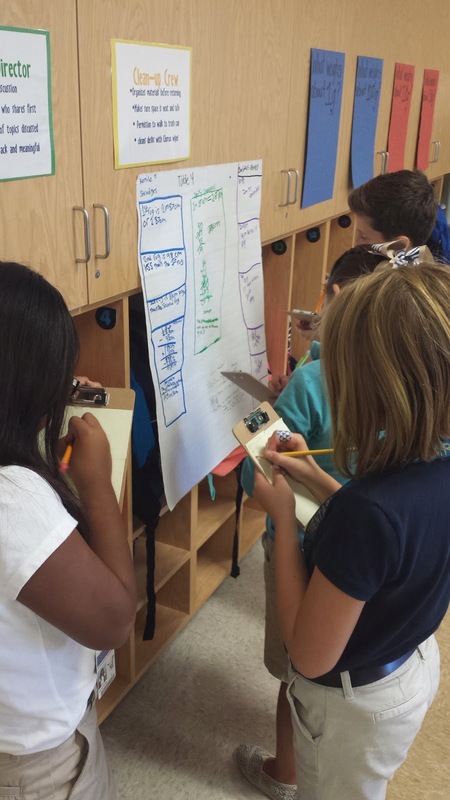 My students work in groups often, sharing multiple strategies in order to arrive at a common solution. I am absolutely amazed with what students are developing, but I sometimes feel like my students are not able to see the finished product of all of their classmates'. Since students are busy working in small groups, I needed to come up with a meaningful, time sensitive way for students to examine, reflect upon, and evaluate each other's work. My solution: sticky notes. In this lesson students worked in groups to solve multi-step word problems involving metric and customary conversions. 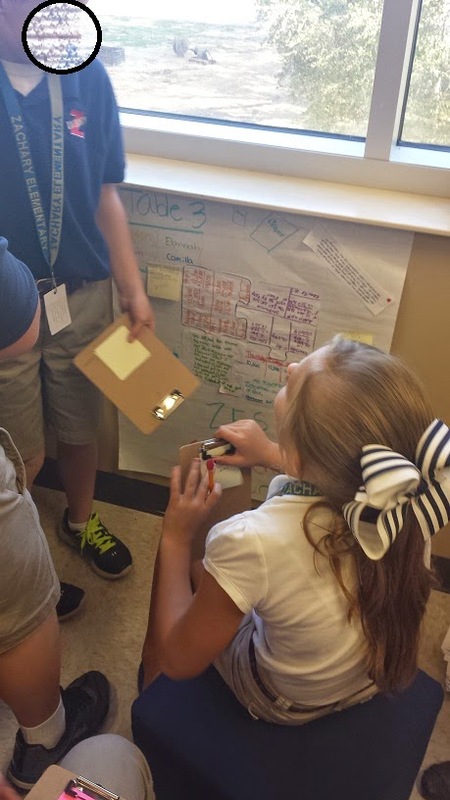 Students developed a poster representing all strategies and problem solving steps then posted their solutions around the room. 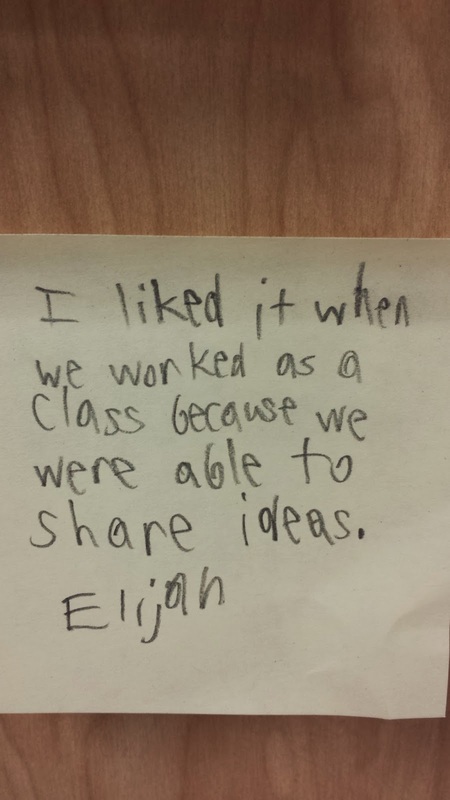 Once students were finished, they each took 4 sticky notes, walked around the room, and provided feedback to each group. 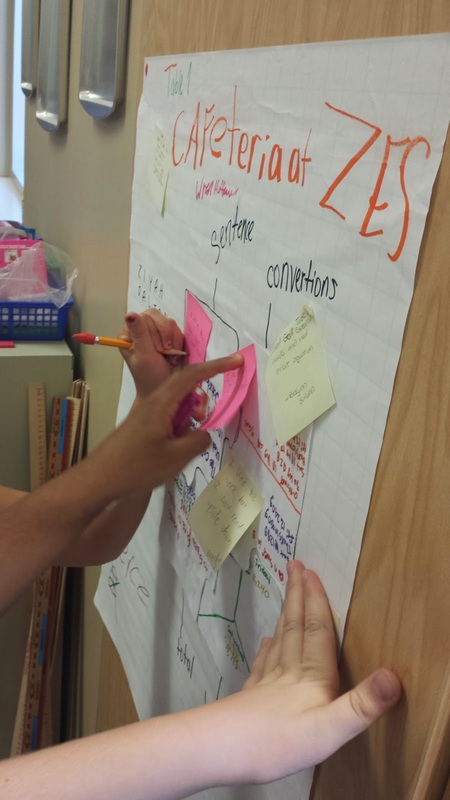 Students could write what they liked abut the other groups' strategies or offer suggestions about how strategies, methods, and organization could have been improved. 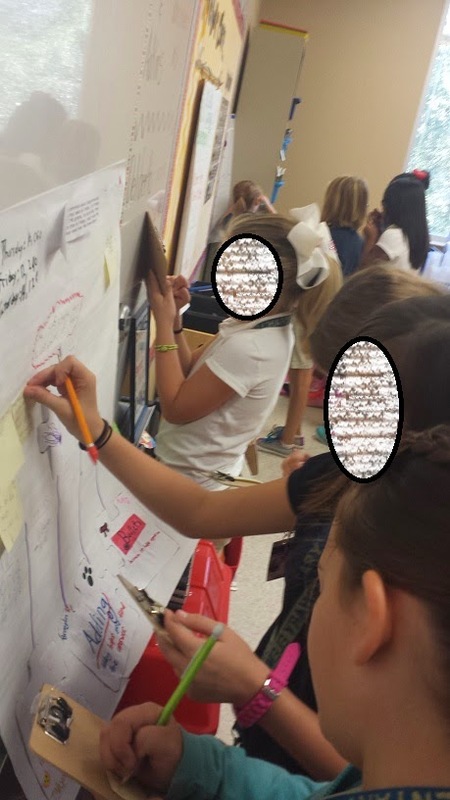 After the Feedback Gallery Walk, students returned to their original posters, read the feedback, and discussed the compliments, constructive criticism, and suggestions with their groups. 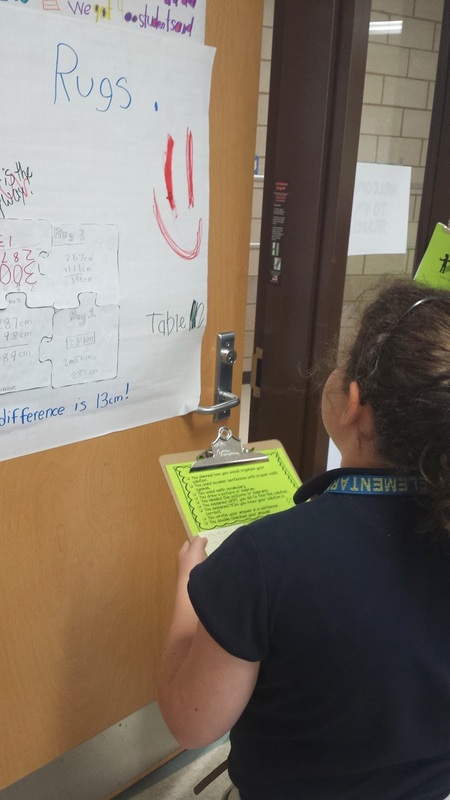 This activity held students accountable, showed me that they know my mathematical expectations and now know what to expect from their classmates, and helped students see that different strategies and methods can be used to solve the same problem. At the end of my lesson, students have a choice on how to provide feedback. My kiddos can give me feedback on the lesson: what activities they liked, something they would like to do again, what they want to see changed, what they didn't like, or how the lesson helped! 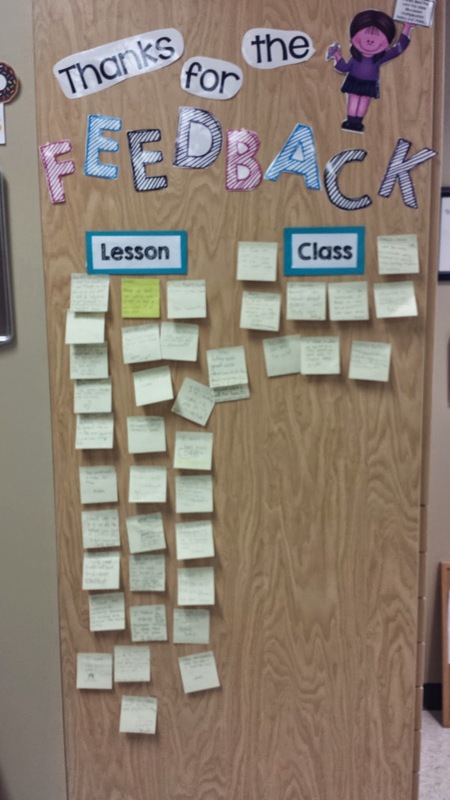 Students can also give class feedback: How did the class persevere together today? How did you feel the class performed as a whole during group work? Is there a way we can improve a a class on this topic? 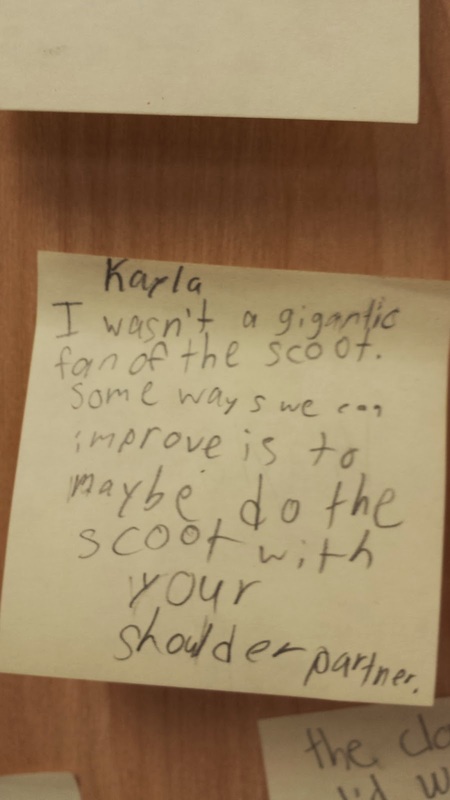 See...they will be honest :) The next time we did a SCOOT, we tried partner solving! Love this post! I teach 3rd too. Do you have a TPT store? Would love a copy of your math talk stem questions. I just now read your post. I also teach 3rd and would love a copy of your math stem questions. Could I get a copy of the math stems?